So, school has pretty much started back everywhere at this point! Which means... mornings. And waking up early during mornings. And even worse, being expected to show up to places on time during those mornings. I'm pretty sure that getting the day started has always and will always be a difficult thing for people to deal with. First of all, 48% of Americans say they don't get enough sleep. And second of all (and my personal problem with waking up), this is winter. But I do have to say that the worst ever at waking up in the morning is my dear, sweet husband. Here is our interaction in the morning: I bring him coffee in bed and stay out of his way. All those typical morning words like "cranky" and "grumpy" and "moody" don't even begin to describe his level of disdain for waking up in the morning. But since I have to be up anyway, I did some research on how to create the best ever morning routine! There are actually tons of articles (and opinions) out there about how to start your day off the best way possible. But you know, that's something that each person really has to decide for themselves. SO I gathered all of my 15 absolute faves and listed them below! 2 minutes of meditation. By now, we all know that meditation is beyond-beneficial for us. But we still picture it taking place in a dark and silent room... which probably seems a little unattainable for most of us! Just do your best to clear your mind for a couple of minutes each morning. Clean 1 thing you don't want to. 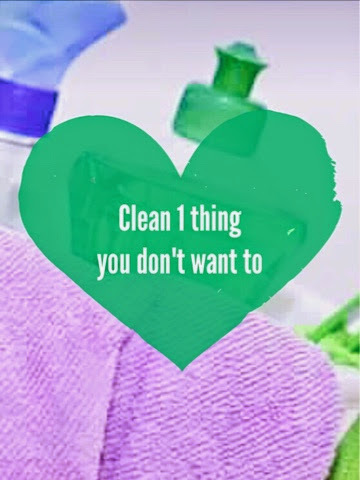 For me, it's the dishes in the sink that have to be washed by hand for some reason or another. BUT I've found that if I go ahead and knock that thing out before I even have time to dread it, the rest of my day seems to be just a little more productive. It's kind of like saying, "Hey, Procrastination! Don't mess with me today." Drink green tea/juice/water. 8 hours is a long time to go without drinking anything... plus morning is a super easy time to remind yourself to drink more since you're probably already in the kitchen! 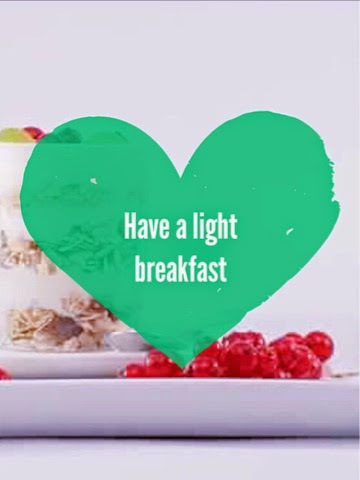 Eat breakfast. Of course, when we picture breakfast we picture all those sugar-filled and indulgent brunch foods (Belgian waffles? Yes, please!) but the best way to start the day is with something hydrating like fruit or something high in protein such as greek yogurt. Save the good sweet stuff for weekend brunch! Listen to music. I am a huge, huge fan of starting mornings this way! And for mornings, I really love instrumental genre stations rather than anything with lyrics. It's just easier to keep a clear mind that way! This post from last year may have just the perfect station go get your morning started! List 10 things you're thankful for. This is one thing that I definitely do pretty much every morning. I also do it if I get in a bad mood throughout the day. Aaaand I also make encourage people around me do it when they're stressed, too. It really is the easiest way to boost your happiness right away! Make the bed. This is an easy option. It's quick. It's not time-consuming. And it makes a huge impact on your space immediately! Plus, it acts as a barrier to keep you from getting back into bed! Read. Now, I have to admit that (for me) writing "read" on my morning routine list would be straight-up dangerous because 98% of my reading is done on electronics. Electronics = internet connection. And internet connection = access to social media (as you know, it's always downhill from there). 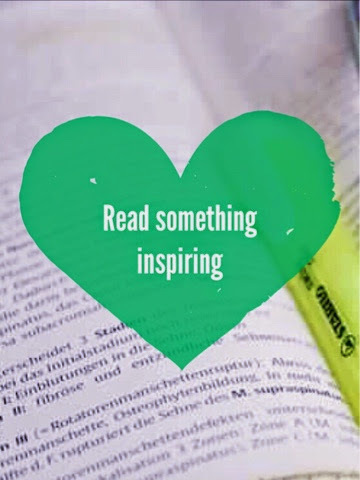 BUT if you are the kind of person who reads books the old-fashioned way, then this may be a good idea for you! Just try to make sure it's something encouraging and inspiring so that positivity can flow over into the rest of your day! Repeat a personal mantra. I actually created one of these and said it to myself every morning last summer. Something about how I was the most productive person in the world and I moved quickly from task to task accomplishing things with confidence. Also, you could go the Blair Waldorf route: I am Grace Kelley; Grace Kelley is me. Either way, it's totally effective! 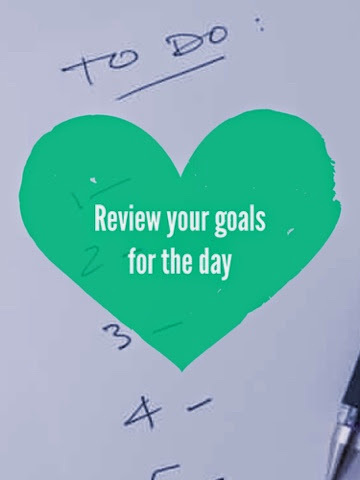 Review your goals for the day. One of the habits I'm trying to get back into (after Christmas break totally demolished ALL of my good habits) is planning each day the night before... what to do, what to wear, etc. That way, each morning all I have to do is review the goals I've already set for the day and get started! Smile for 1 minute. Yes, like a crazy person. I do this all the time when I get stressed while driving. Smiling relaxes you and basically forces you into happiness. And hey, forced happiness is still happiness, right? Turn on all of the lights. I can feel my husband cringing as he reads that. He (and all men, apparently) are allergic to "wasting" energy. But science says that lights = productivity... so turn 'em on! Visualize your day. There are so many ways to do this, but one thing I've started doing is choosing 3 ways that I can simplify the tasks ahead of me. For example, "I will simplify my drive to work by leaving 30 minutes early", "I will simplify dinnertime by deciding now what I will make", and "I will simplify my lesson planning by organizing my classroom materials ahead of time". By the way, my husband would call this "doing less"... and he would wonder why anyone would have to remind themselves to do that. 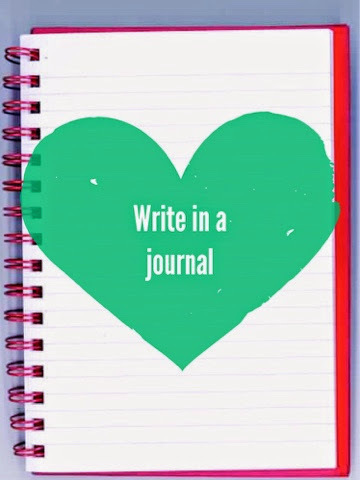 Write in a journal. Nothing long or poetic or brilliant. 1 page. Or even just 1 sentence. Write about something that annoyed you yesterday and let it go. Or write about the awesome day ahead of you! Or all of the things you're grateful for. Or about the crazy dream you had. Literally, anything is on limits! Yoga. This = my favorite thing of all time ever (mimosas and Target excluded). I have recently started doing 6:40 AM yoga and it's been a great way to start the day. For me, yoga is just so much easier in the morning before I check my e-mail or get stuck in traffic or do any of the other 34,000 things that try really hard to stress us out and ruin our days. Plus, when those things DO happen, I probably handle it a little better than I would have otherwise! What are some of your favorite ways to greet the day? 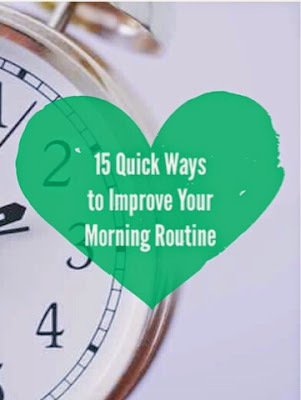 Do you have any additional tips for a better/ healthier/ more-centered morning routine?